I love chocolate (just about any kind will do) but it's always a special treat to try handmade chocolate. 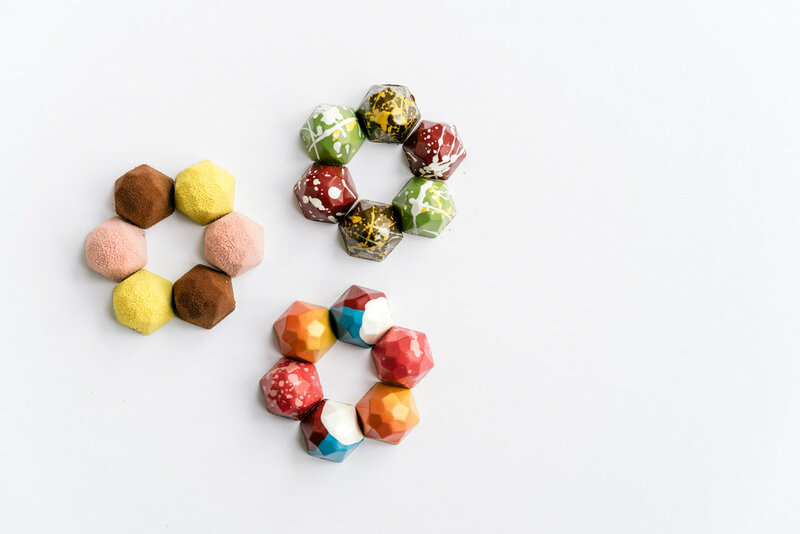 Chocolates x Brandon Olsen (CXBO) is a little shop in Toronto that makes cute morsels of art. They're so beautiful I almost can't bring myself to eat them. Almost.